As we enter the mid point of the winter ski season in Canada, the start, back in November, feels now like a distant memory! For our participants working out in Whistler, Banff and Tremblant, the past couple of months have involved hard work, challenges and a lot of fun! The snow in Canada has been awesome once again this ski season. All of the resorts that we work in opened earlier than planned in November and have gone on to enjoy awesome snow over Christmas and into the New Year. Long may it continue! In Whistler, our instructors on our Whistler Blackcomb Ski Instructor Jobs programme have all successfully passed their CSIA Level 1 and are now working hard for Whistler Kids, teaching children to ski for the rest of the season. We also have people working in support roles for the snow school and in hospitality at the prestigious Westin hotel. New for this season, we have people working in a different role for Oyster within Whistler Blackcomb, that of Tube Park Attendant. In this role our participants have been working in customer service, responsible for the operation of the tube park area and assisting their customers. By all accounts this is proving to be hard, physical work but great fun. We look forward to offering this job on our website for the 2018/19 season in due course. If you are interested in finding out more about this role, do get in touch by emailing me – [email protected]. The feedback that I have received from our participants in Banff and Tremblant has all been really positive. Everyone is working hard to impress their supervisors and managers with their excellent work ethic. Many have already been in touch with me to find out how they can extend their stay beyond April/May to make the most of their Canadian Working Holiday Permit. Not only are Oyster participants working hard and earning good money this season, they are also enjoying an awesome social life and making the most of all that these resorts have to offer. In Whistler, our participants have enjoyed a ZipTrek tour of the local area and had a couple of Oyster meals/beers at our meet ups. 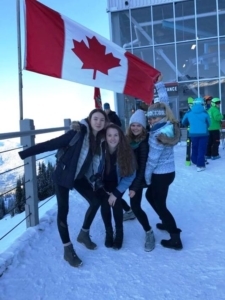 In Banff our participants have been making friends from all around the world with people that they are living and working with, as well as enjoying the Oyster meet ups. Over in Tremblant, despite one wrist injury, everyone is getting on well and making the most of immersing themselves into life in French-speaking Tremblant. Margo, our rep, is planning on taking the group to Ottawa for a day out soon! Another role that we are looking forward to promoting for winter 2018/19 is for ski instructors to work for the adult ski school. 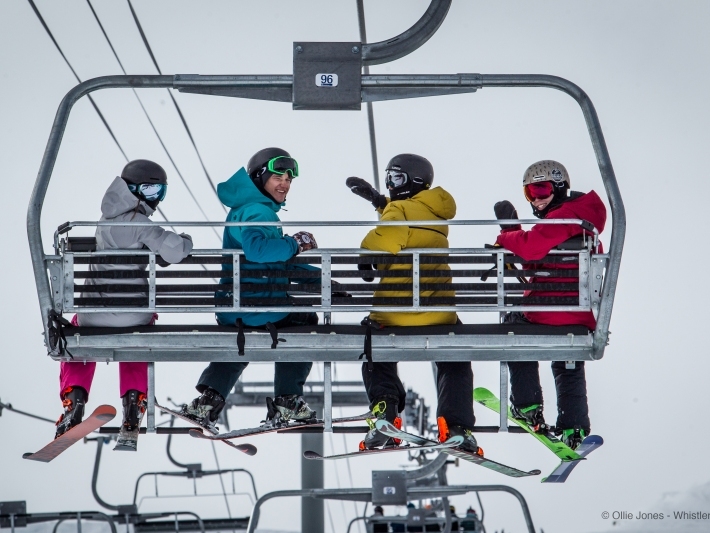 This programme will work in the same way as our Whistler Kids programme, participants will still take part in the 4 week CSIA Level 1 training course, but then they will go on to teach adults the basics of skiing. With a Level 1 qualification, our instructors will be teaching on the beginner slopes and greens mainly. If you are keen to be a paid ski instructor for a season, but don’t have childcare experience, Oyster now has the course and job for you! The cost of this programme will be the same as our Whistler Kids option – £4645 for the season. If you want to work in Canada for the 2018/19 season you need to act fast. Work permits are already being issued for this year and they won’t be here forever. You can benefit from our FREE advice on how to apply for the work permit by signing up to receive our guide. Have questions? We want to talk to you! Feel free to pick up the phone, email me or comment on this post below.